The beautiful city of Edinburgh has long attracted students from all over the world. Home to over 37,000 full time students throught the city's three major universities, Edinburgh offers investors an opportunity to capitalise on the substantial demand for student accommodation in the city. Edinburgh sits almost directly opposite Glasgow, in the east of central Scotland and on the southern banks of the Firth of Forth. Just fifty miles separate the two cities, which are continuously debated as to which should be the capital. Edinburgh is connected to the rest of the country by the M90, M9 and M8 motorways, whilst the M74 and the M6 links the city to England and Wales. Edinburgh is some 200 miles from Manchester, 300 miles from Birmingham and 400 miles from London. Edinburgh’s Airport plays a strong role in connecting it with other British domestic cities, whilst a strong national train network and a local bus system contribute to accessibility. With almost half a million residents when last measured in 2011, Edinburgh is part of a larger urban zone which is made up of almost 850,000 Scots. Edinburgh’s connection with culture, the arts and education help to keep the population young; with the largest demographic being those between the ages of 25 and 44. With almost 50,000 more residents in this age bracket than the next highest, Edinburgh has a very young and dynamic atmosphere. Edinburgh is a predominantly ‘white’ city, with ethnic minorities being significantly less than elsewhere in the UK but this continues to grow; particularly since the European Union reform. Edinburgh has been historically famous for printing and engineering, but experienced much more commercial growth since the advent of railways in the 1800s. Since then, it has become one of the most cultural cities in the United Kingdom and continues to develop as such today. Alongside the arts, Edinburgh benefitted from a 1990s redevelopment toward a more financial movement which has seen the Edinburgh International Conference Centre become a hotspot of finance and business. 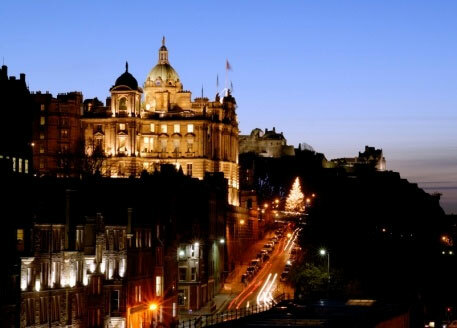 After London, Edinburgh is the largest financial and administrative centre in the United Kingdom.